Accredited by the American Psychological Association, the Psychology Department at Our Lady of the Lake University offers a Psy.D program in Counseling Psychology that trains graduates for assessment and intervention of individuals, couples, families, and groups, emphasizing skills and competencies for the professional practice of psychology. Psy.D. applicants must have a master’s degree or the equivalent with a cumulative GPA of 3.5 or higher. It generally takes 4 years to complete the required coursework, as well as an additional year to complete the required internship. The admission deadline for the Counseling Psychology Psy.D. program is January 15th, with courses starting in the fall. Tuition for both in-state and out-of-state students is about $20,000 per year, not including additional fees or university costs. Financial aid is limited, but the department offers several graduate assistant positions that pay the equivalent of 6 hours of tuition for 12 hours of work per week. The program requires students entering with a master’s degree to complete a total of 117 hours. Doctoral students will have to complete both written and oral examinations, a dissertation, a full-year pre-doctoral internship, and full-time residency to obtain their Psy.D. degree in Counseling Psychology. The tuition and fee information below was obtained from the 2012 IPEDS survey and is for informational purposes only, for the offical cost of attendance please contact Our Lady of the Lake University. The PsyD program in counseling psychology at Our Lady of the Lake University has been accredited by the American Psychological Association, Commission on Accreditation since 1995. Our Lady of the Lake University has ranked #46 out of the 62 programs that were analyzed. The rankings are based on performance of graduates on the Examination for Professional Practice in Psychology (EPPP) which is administered by the Association of State and Provincial Psychology Boards (ASPPB). The EPPP is broken into eight content areas or "Rubics" which are listed below, get more information by visiting our data and ranking methodology page. Ranked #46 Ph.D. & Psy.D. 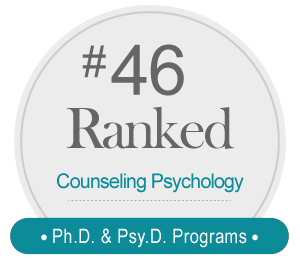 Program, see our complete list of top PsyD & PhD counseling psychology programs.